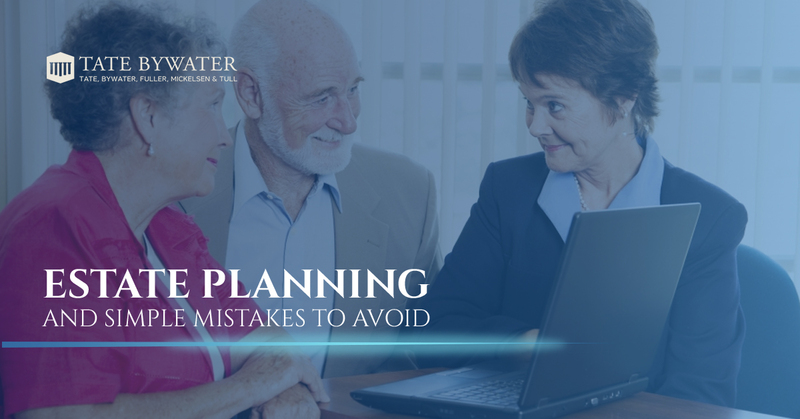 Let’s begin exploring common mistakes that the inexperienced tend to make when it comes to wills, trusts, and estate planning attorneys. Let’s start with the fundamentals, which in this case means formulating an estate plan itself. But let’s go beyond the surface level. 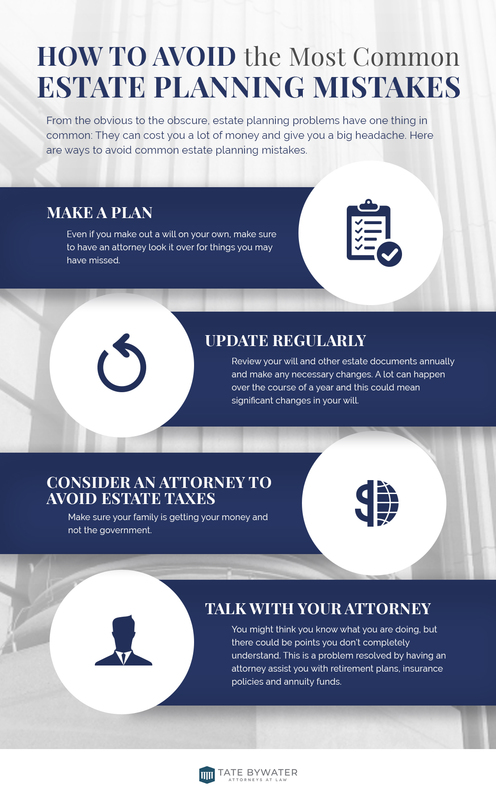 Many people believe that once they reach a certain age, at that point it will be appropriate to get in touch with an estate lawyer and put together an estate plan. At the risk of sounding an alarm, everyone is mortal, and that includes you and I. With that in mind, if you fail to designate how you would prefer your assets to be distributed, the state statute holds precedence. Often, this is far removed from how most people would prefer their estate to be divided. And while it does make sense that it can be an uncomfortable conversation to have, planning your estate is also a necessary one. It is part of coming face to face with reality, and for the greater good of your loved ones it is worth taking the first step, no matter if you are forty, fifty, or beyond. This point is in the same family as the first two common mistakes we have mentioned thus far, in the sense that we see people make this mistake for no other reason than the simple fact that it can be uncomfortable to think and speak of. As much fun as it would be to imagine your extended family gathering ala “The Grand Budapest Hotel” (that actually sounds horrifying), estate planners typically will recommend being as communicative as possible with your affected relatives. The reason for this recommendation is that you can have a say in any disagreements that may unfortunately arise. However, if you prefer to avoid any sort of difficult conversation altogether, it may be best to be more discreet with those family members who might be difficult to deal with. The bottom line is that it ultimately is up to you, because no one knows how your family will react to this type of news better than you do. It may come as a surprise to many of our readers that simply because you have a working understanding of how your will is going to be distributed, it follows that you have a complete comprehension of how all of your assets will be divided upon your passing. Specifically, a client’s wealth is often found in a variety of asset types, from real estate, to annuity funds, retirement plans, to insurance policies. Luckily, this problem is very much avoidable, and the estate attorneys at TATE BYWATER are happy to assist our clientele with these conversations so they can determine the best course of action for them and their family. While this mistake, in theory, borders on the cinematic, it still happens more often than you might think. For a variety of reasons people are added as controllers on bank accounts all of the time. But the act of adding someone’s name to an account may inadvertently give that person control over more than you had intended. And even if you trust this person implicitly, large sums of money brings out the worst in people and their decision making capability. If you find yourself in the circumstance that you no longer feel comfortable independently managing your own assets, TATE BYWATER can help you draft and implement a plan so that you feel more financially secure and supported. So we implore you to not be that person who simply assumes that the worst case scenario will never happen to them. Consider your options and make an informed decision. With offices in Vienna, VA and Saint Leonard, MD, we would love to set up a consultation with you so we can explore your situation and options in detail. Reach out to us today. Our jurisdictions of practice include the following regions and cities: Alexandria, Annandale, Arlington, Ashburn, Burke, Calvert County, Centreville, Chantilly, Clifton, District of Columbia, Dulles, Fairfax County, Falls Church, Great Falls, Herndon, Leesburg, Loudoun County, Manassas, Manassas Park, McLean, Montgomery County, Oakton, Prince George’s County, Prince William County, Reston, South Riding, Springfield, Stafford, Sterling, Vienna, and Woodbridge.